Our winning and losing in the everyday will depend on our understanding of the battle and of whom we are fighting. We won’t be powerful over the enemy until we see this life-or-death fight up close and personal. We must learn how he operates, uncover his schemes, and acknowledge his threat on our lives, our families, our relationships, and our generation. But seeing him clearly doesn’t mean we have to then live in fear. Rather, we can choose to let that clarity aid us in our resistance. 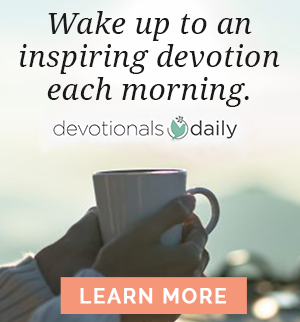 The moment we see him as he is — a thief, a killer, a destroyer, an accuser, and an enemy of God — his deception is exposed, and we can begin our journey to defeat him. Remember, our enemy will always overplay his hand. He is so eager to dominate and control this world that he leaves little to the imagination. He is sneaky, but he is not invisible. He is evil, but he is not all-powerful. He is devious, but the truth exposes him each time. He may surmise what is going on in our lives, but he can’t read our minds. Only God can do that. The enemy is not content with those he has under his control. He wants to dominate every person on the earth, including each one of us. The devil is greedy. He’s excessive, eager, and compulsive. He works day and night to trick us and take advantage of us. He is vicious and mean. He is the greatest accuser, abuser, manipulator, deceiver, and controller. He will stop at nothing. His lust is so intense he’ll do whatever it takes to get what he craves. His goal is to take us with him into eternal damnation. To do so would be his only win. 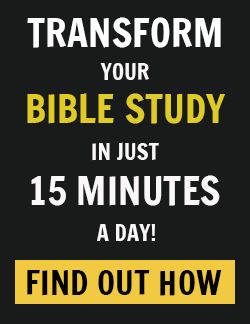 But, as Paul pointed out, “we are not ignorant of his schemes.” I have often heard the phrase, “Ignorance is bliss,” which suggests that if I don’t know something, then life is more comfortable, easy, and peaceful for me. But ignorance is not a godly way of thinking. Being ignorant of the enemy’s schemes only leaves us vulnerable to his tactics. Being spiritually illiterate doesn’t mean the enemy will leave us alone. It means we are more likely to make critical mistakes due to a lack of full understanding. Ignorance will hurt us and leave us confused, dejected, and deceived. God did not call us to be spiritually blind; he called us to be spiritually alert. The only way for us to get serious about our eternal fate is to see the devil as our literal enemy. The devil is out for blood at any cost. But don’t worry: The battle has been won, and we have the advantage. We just have to see him clearly and keep him in his place. The devil thought he had won when Adam and Eve ate the fruit in the garden of Eden, but God outsmarted him. Only God could create the redeeming story of the Cross. When the enemy could only see Adam and Eve in their sin, God saw them standing at the foot of the Cross completely restored. The enemy saw the end, but God saw the whole story. These words make me want to shout, jump up and down, cry, and pray — all at the same time. Why? Because I see the devil relentlessly doing this to every human soul. The enemy’s accusations relentlessly penetrate the hearts of his victims. The fearful continue to be fearful. The anxious continue to have debilitating anxiety. The devil is persistent in his pursuit to render us powerless, to prevent us from stepping into our God-given authority and power. Have you ever noticed you never struggle with something just once? Most of us, if we are honest with ourselves, can see the same places of vulnerability year after year. Unless we’ve had a supernatural breakthrough, we fight the same battles over and over. But let me say it again: The devil isn’t a god. We are not collateral damage, caught between two different gods as they fight against each other. No! Remember, the devil is an angel with a God complex. He has mastered the art of faulty power, an optical illusion of his strength. Satan… is so filled with pride that he puffs himself up, hoping we believe he carries the same authority and power as God. All of his plans are meant to deceive and control. If we don’t understand the power and authority God possesses, we will be caught up and distracted by the enemy’s lies. The devil may be weak, but he is not stupid. He works the same areas over and over, looking for any opportunity to pick us off. He is unwavering. He sustains his direct attack, his pace, and his intensity. The word wiles is taken from the word methodos in Greek, and it literally means “a road.” The devil is like a traveler who travels on a road. He is headed in one direction and has one destination. Your enemy isn’t wandering around looking for something to do. He’s not wasting time. He has a very clear direction and knows exactly where he is headed. His method? To journey on the same path, to the same destination, over and over again in your life. Walking the same path, hoping for an opportunity. The best part of Ephesians 6:11 isn’t the part about the “schemes and the strategies and the deceits of the devil.” No, it’s the part where Paul reminds us that we have the ability to stand up against him and win. Is the Devil evil? Yes. Does he try and attack us even if we have the advantage? Yes. But he won’t succeed if we stand our ground and keep to the promise of victory. 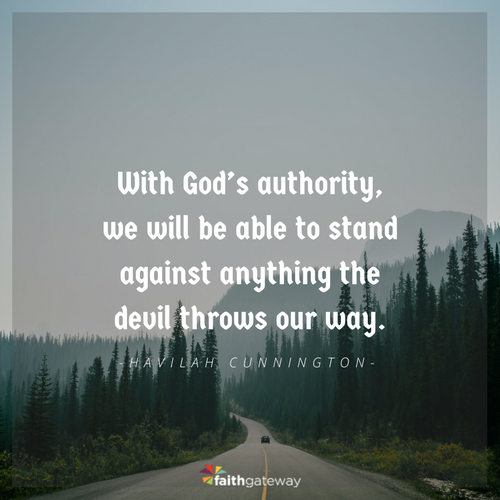 With God’s authority, we will be able to stand against anything he throws our way. D. Jakes, Twitter post, November 30, 2012, https:// twitter.com/BishopJakes. Rick Renner, Sparkling Gems from the Greek 2 (Tulsa, OK: Harrison House, 2016), 125. Rick Renner, Sparkling Gems from the Greek (Tulsa, OK: Teach All Nations, 2003), 604. Excerpted with permission from Stronger Than the Struggle by Havilah Cunnington, copyright Havilah Cunnington.